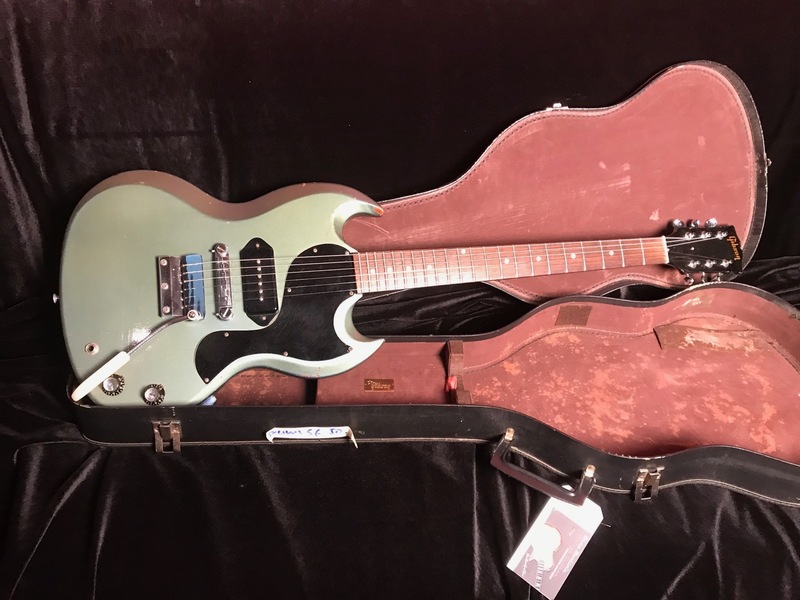 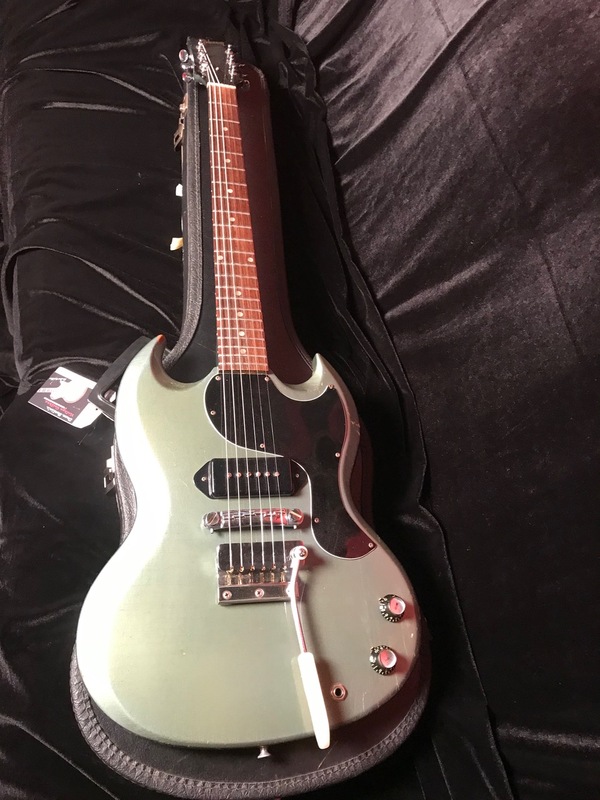 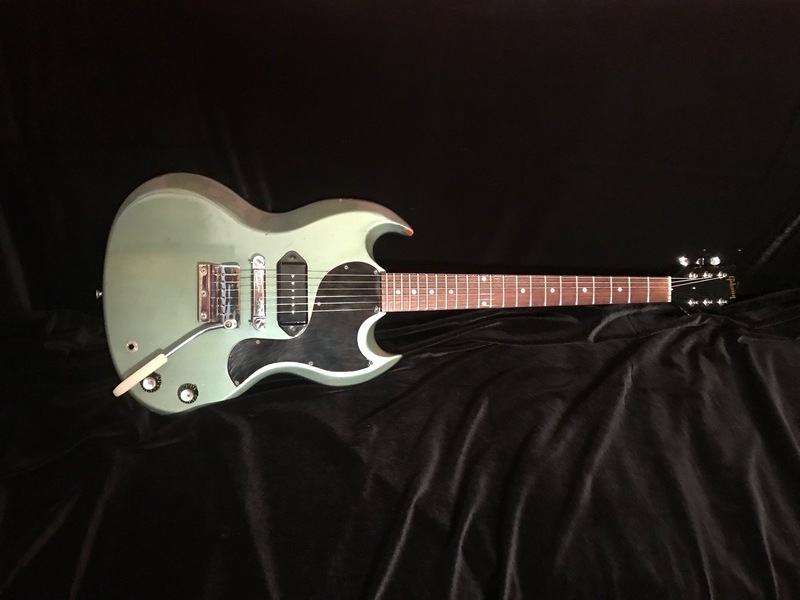 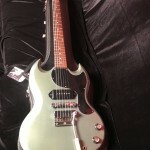 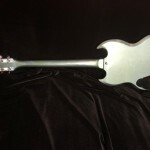 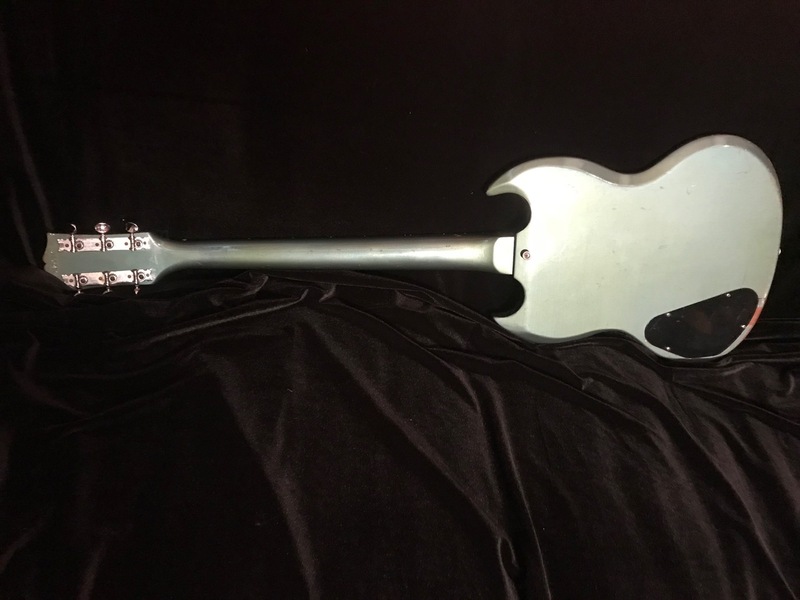 This is a very good, 100% original condition 1966 Gibson SG Jr. in rare and very desirable Pelham Blue. 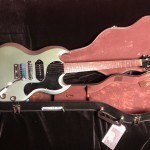 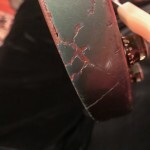 It comes with its original and very good condition black chipboard case. 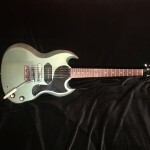 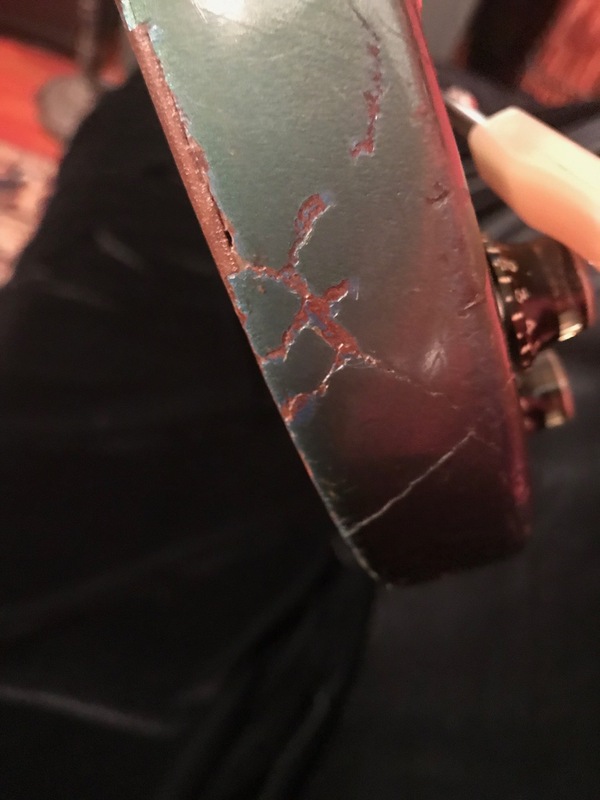 Even with some weather checking, this SG Jr. is still in collectable condition.